From spending a week with Mike Tyson for Jimmy Kimmel Live to creating the Tyson Zone, Bill Simmons is no stranger to the legacy of the man they call Iron Mike. 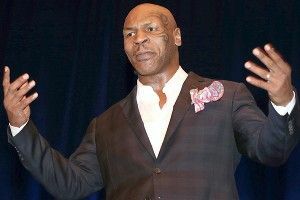 But this time, the former heavyweight champ gets serious as he opens up to the Sports Guy and Jalen Rose in a revealing interview about his struggles with drug use, women, leaving boxing, mental health, and his challenging upbringing. To listen to this podcast, you can download it on iTunes here or go to the ESPN.com PodCenter here.